LG 55-inch OLED TV to ship in May for $8,000? 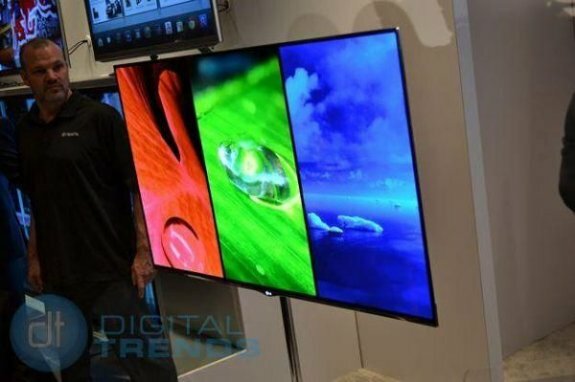 DigitalTrends picked up rumors that LG plans to release a 55-inch OLED TV in May with a price tag around the $8,000 mark! These new screens promise better image quality in a razor-thin, ultra light package with none of the limitations of LCD nor plasma. While we’re generally reluctant to jump on the rumor mill bandwagon, this one is just too good to pass up. According to Maeil, a South Korean business publication, LG plans to unleash its first 55-inch OLED TV in May during an event to be held at the Cannes film festival in France. The report disclosed the price at “nine million Won” which, according to current currency exchange rates, works out to be somewhere in the neighborhood of $8,000 US. That’s a whole different kind of 8k. Maeil indicated that LG originally intended to lay out its new OLED models sometime in the second half of this year but that the company since recognized an opportunity with the summer Olympic games on the horizon and decided to capitalize on it. By getting its OLED TVs out in May, prospective buyers will have a chance to scoop them up before the games begin. We’re pretty sure that beating Korean arch-rival Samsung to the punch has something to do with the pushed up release date, too.